Stir-fried chicken bun at Pho Indy in the JoAnn Plaza on Coldwater Road. Dried egg noodles with srhimp, crab and pork and meatballs at Pho Indy in the JoAnn Plaza on Coldwater Road. Vietnamese sausage spring rolls at Pho Indy in the JoAnn Plaza on Coldwater Road. Seafood combination rice noodle soup at Pho Indy in the JoAnn Plaza on Coldwater Road. The complimentary clear soup at Pho Indy in the JoAnn Plaza on Coldwater Road. Pho Dac Biet -- beef noodle soup -- at Pho Indy in the JoAnn Plaza on Coldwater Road. 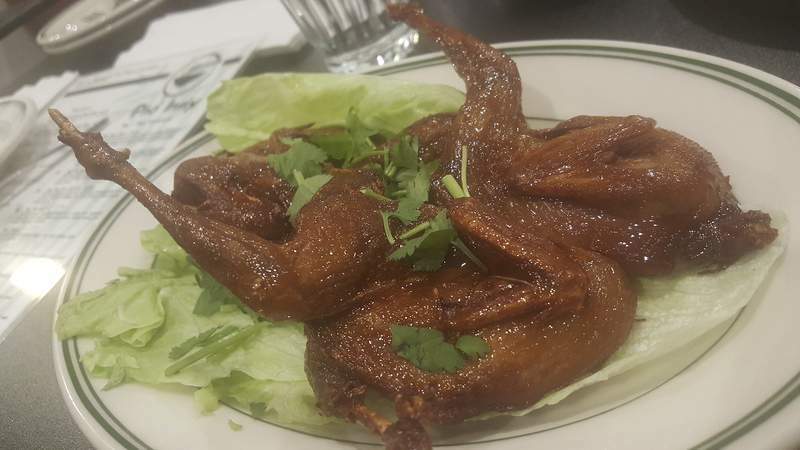 Crispy quail appetizer at Pho Indy in the JoAnn Plaza on Coldwater Road. Shrimp and pork spring rolls at Pho Indy in the JoAnn Plaza on Coldwater Road. 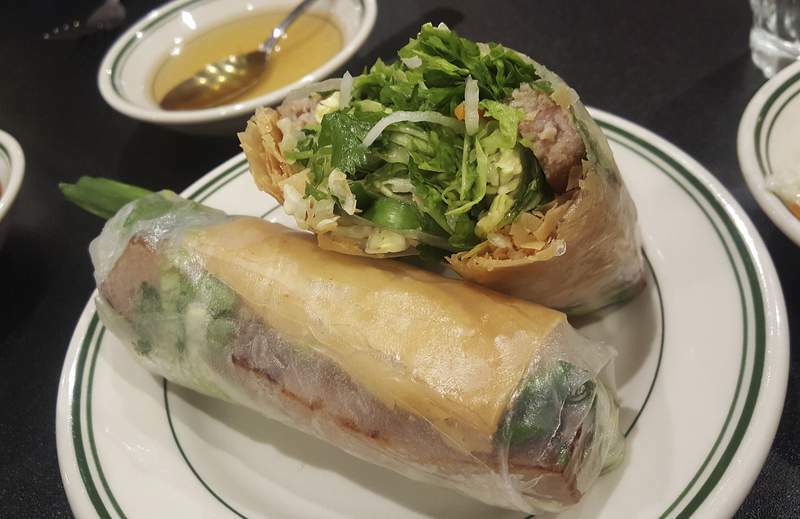 Vietnamese Egg Rolls at Pho Indy in the JoAnn Plaza on Coldwater Road. Blended coconut milk tea at Pho Indy in the JoAnn Plaza on Coldwater Road. Pho Indy in the JoAnn Plaza on Coldwater Road. When it comes to ethnic food – excluding Mexican and Chinese, which are commonplace – there are two camps you can choose from. There are the hole-in-the-wall places usually operated by first-generation immigrants. They usually don't advertise much and rely on word of mouth to develop their following. These places can sometimes be a challenge because they usually have limited staff and there might be a language barrier, which means if you don't know what kind of food you are trying, detailed instructions on dishes might be hard to come by. But these places usually have the most authentic and delicious food made with love by people who are just making what they serve their families. The other camp includes the fancier places with Instagram pages promoting their stuff and employees explaining everything to you with ease. But the food is usually dummied down to fit the American palate. I call them the places that people who want to pretend they love Vietnamese, Thai, Indian or Korean food go to to post pictures on their accounts. 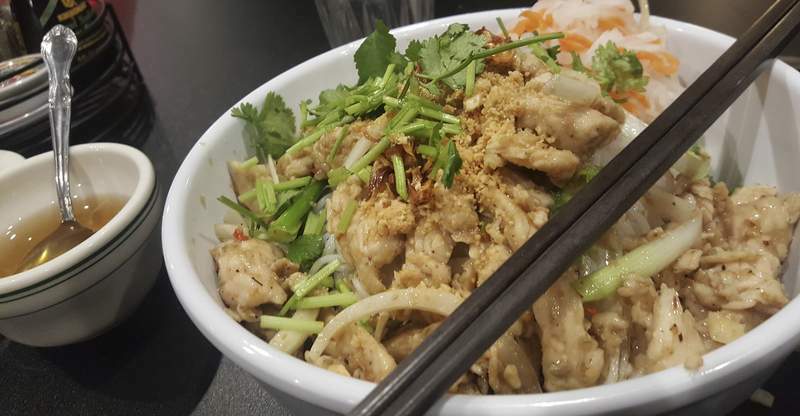 Seldom do these worlds collide, but in the case of Pho Indy, the Vietnamese restaurant that opened recently in the JoAnn Plaza along Coldwater Road, I experienced the best of both worlds. It had a comfortable, welcoming atmosphere with a staff that went out of its way to make sure I knew what I was getting. The food was not only authentic, it was extraordinary and unique, and made Pho Indy the kind of place I will be frequenting. As soon as I was seated and menus were presented, my server asked if I had ever eaten Vietnamese food before and offered to explain any dish. It was a theme that continued throughout my experience. I was told what little dish of sauce went with which appetizer and the sauces already on the table were explained. However, the best appetizer I had needed no sauce, though the peanut sauce that came with it was tasty. And it is an appetizer I will have every time I visit. The Nom Nuong Cuon – grilled pork sausage spring roll – had a long spear of spicy-sweet, grilled Vietnamese sausage inside its raw wrap, along with rice noodles and herbs, but what made it exquisite was the addition of a long strip of crispy fried egg roll wrapper. It stayed crunchy even next to the cold, dressed greens and herbs and gave this roll a fantastic crunch. 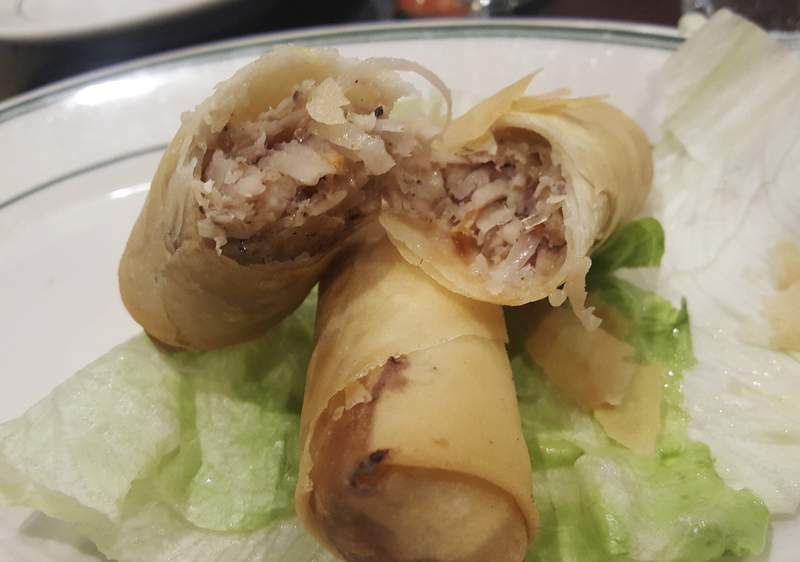 The pork and shrimp spring rolls were decent, but not as wonderful as the sausage ones. 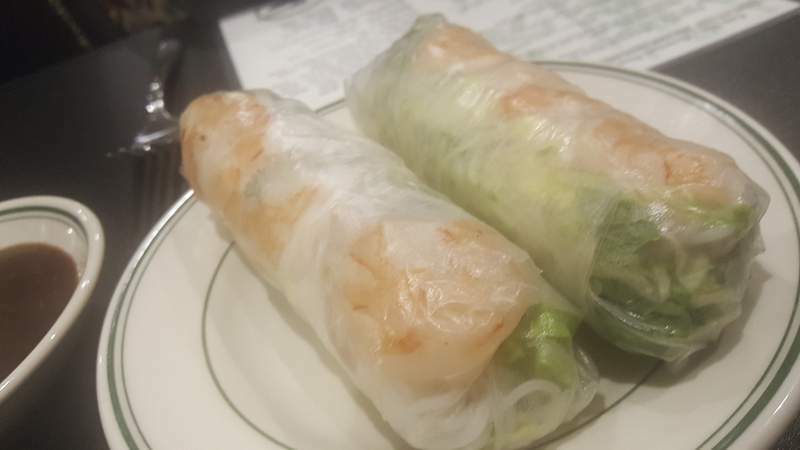 The Vietnamese egg rolls also were decent and had an interesting flavor that made them different than the Chinese norm. The beef was marinated in something a little briny and funky, perhaps fish sauce, and they were very crispy, but a little oily. I was also eager to try the Chim Cut Quay – grilled quail appetizer – but it fell a bit flat. The little bird was fried until extra crisp and the skin was rubbed with a sugary sweet rub or sauce that had an addictively good flavor. But getting that super crisp exterior meant the meat inside, what little there is on a quail, was dry. 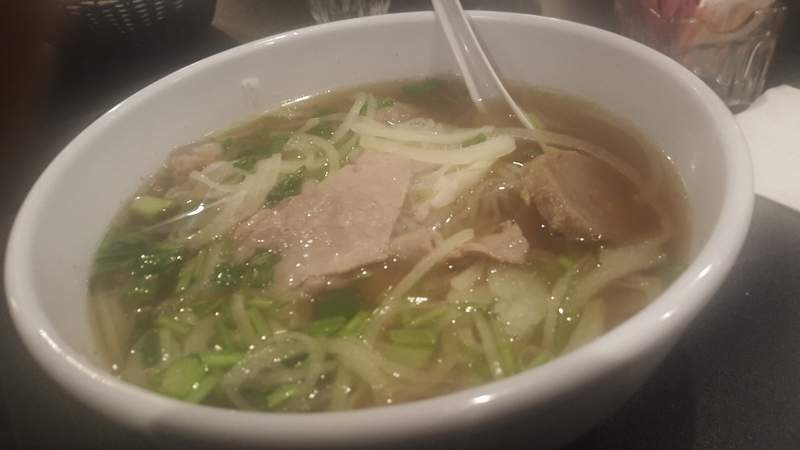 I knew Pho Indy was the real deal when I tried the Pho Dac Biet, my favorite version of the signature Vietnamese rice noodle soup. It did not just have sliced steak and meatballs like most dummied-down versions, it also included beef tendon and tripe, which is scary for some. It was perfect. The beef broth was rich and properly seasoned with the right spices, the tripe was in tiny slivers so it was not too imposing and the tendon was cooked down so it melted away on the palate. The steak was tender, the meatballs were big and tasty and it had nary a flaw. The Hu Tieu Dac Biet, an egg noodle soup, was also tasty. 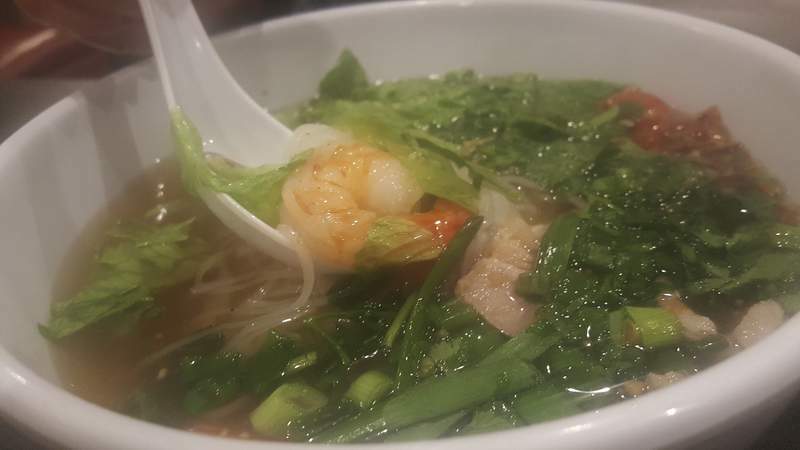 It had plenty of sweet big shrimp, huge chunks of imitation crab and succulent sliced pork in a lighter broth with the noodles, green onions and fresh cilantro. Both of the soups came with bean sprouts, herbs and jalapeño slices on the side, which my server instructed me on how to use in case I was not aware. The best soup at Pho Indy was probably the clear soup that came with most of the dinners. 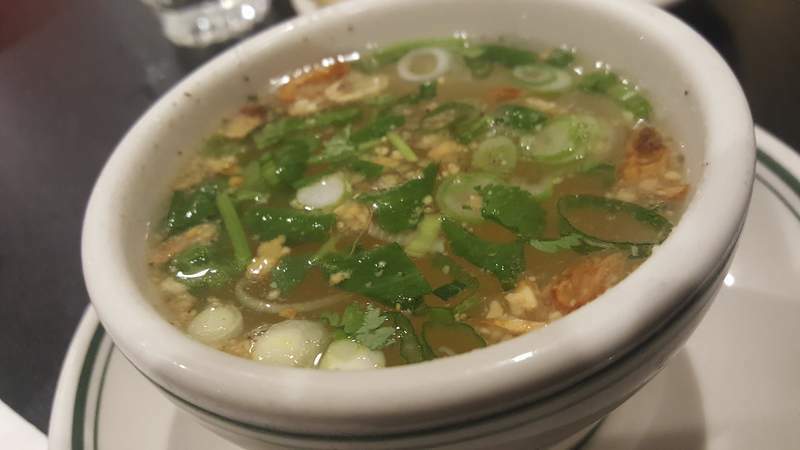 It had crispy fried onions, raw white and green onions, and cilantro, but it was the slight sweetness the broth had that raised it above the norm. A cup of it was served on the side with the Mi Kho Dac Biet – dried egg noodles with shrimp, crab, pork and meatballs. This cold noodle dish actually did not need the broth added, though that was an option. 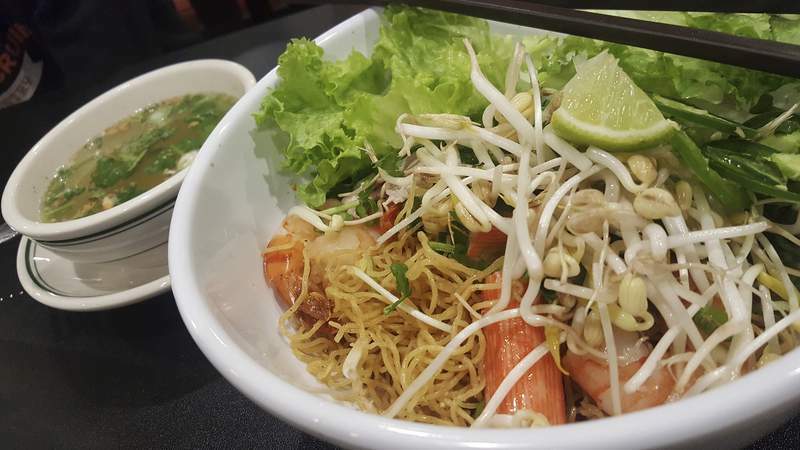 This sort of noodle salad had lettuce leaves, jalapeños, lime wedges and sprouts resting on top and the chewy noodles were actually kind of nice dry and on their own. The Bun Ga Xao Xo Ot, another broth-free noodle dish but with rice noodles instead, also won favor. It came with the standard sweet vinaigrette to pour over the super-tender and juicy grilled chicken, raw cucumbers, sprouts, shredded lettuce and Thai mint and lemongrass. It included a small dish of pickled cabbage, jalapeños and carrots to add to my liking, and I liked adding it all to give some spicy vinegar bite to offset the sweet sauce. I didn't need noodles to be happy here, either. The Com Bo Xao Ot – beef in spicy lemongrass – rice dish was less complex than the noodle dishes but just as satisfying. It simply had slices of tender marinated beef, lemongrass, onions and red chiles scattered about, and was, indeed, quite spicy. There were raw cucumber and tomato slices around the edge of the plate that tamed the heat, as did the sweet sauce provided to pour over it. It also included some of those pickled vegetables, but I refrained from adding them because it didn't need any more spice. 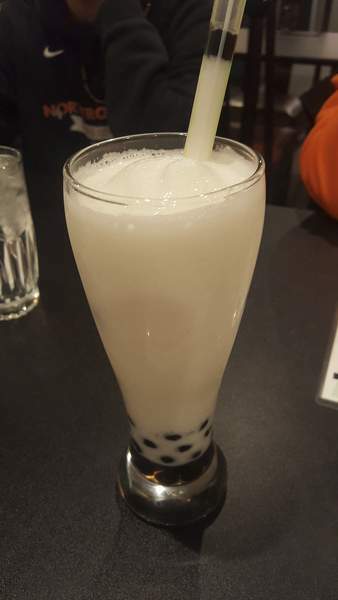 To tame the spice, I would get a blended coconut milk bubble tea because it was wonderful. Pho Indy also offers smoothies and fresh juices. There are traditional Vietnamese jelly and tapioca pearl desserts occasionally, but only when the staff has time to prepare them. And if you are not sure what these odd-looking desserts have in them, just ask. 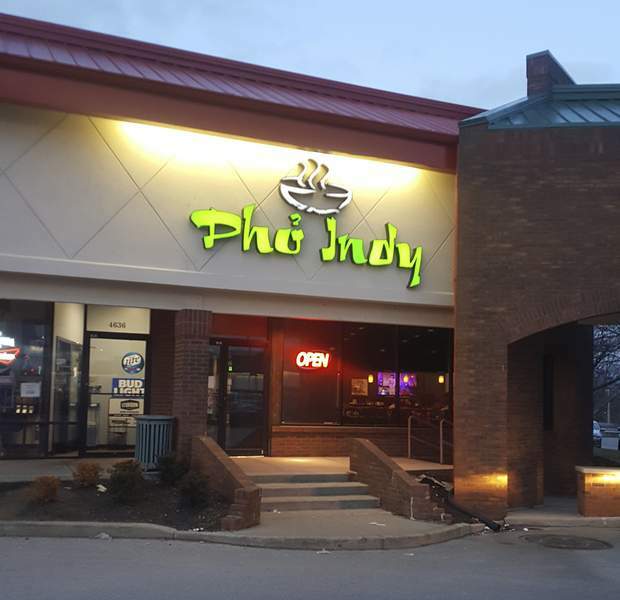 The folks at Pho Indy will explain it to you well.